Twelve years ago today, The Daily Bruin published a story about an MCD (molecular, cell and developmental) Bio 40 class, and how its students served the AIDS community. Professor Roger Bohman required his students to serve at community service agencies that benefit AIDS victims, allowing them insight into the topic being discussed through a medium other than textbooks and lectures. According to this article, 27,000 students had taken Bohman’s classes, “which translates to a great deal of hours in the community.” UCLA still offers a variety of opportunities for community involvement, so feel free to explore the Volunteer Center’s website if you want to get involved. 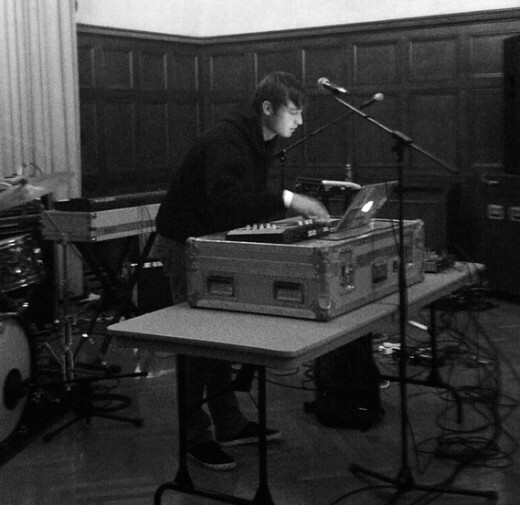 Walker Ashby, a third-year fine arts student and upcoming musician from Marin County, is one of the regulars at a hip hop and electronic club Low End Theory, a place frequented by artists such as Flying Lotus, Gaslamp Killer and Teebs. Ashby, who recently played at The Roxy Theatre on Sunset Blvd., produces music under the name “Toy Light,” and blends ambient and ethereal beats to create music with a rich, atmospheric feel. 1. How did you land the gig last night? A close friend of mine, Dylan Robin, who is the guitar player in The Ten Thousand and also in CEC, reached out to me at the last minute about opening for Twin Sister. I was very happy to fill in the opening slot. 2. How would you describe the music genre you’re drawn to? I hang out at Low End Theory a lot. It’s mostly a hip hop scene over there which I enjoy, but my personal inspirations come more from the European/UK based stuff that’s happening right now. Stylistically speaking, I feel more drawn to the emotional side of electronic and bass music. 3. When did you start making music? I’ve played guitar since I was eleven and was also in bands in high school. However, I didn’t get into producing and composing on my own until college. 4. Where do you look for inspiration? I look inside. Being alone and finding beauty outdoors has always been a huge source for inspiration—relationships as well. 5. If you weren’t making music what would you be doing? Does school get in the way with your musical endeavours? I don’t know what I would do without music. For as long as I can remember I’ve found music to come most naturally to me. Photography is how I got into the UCLA art program but I’ve always had a passion for visual, audio and more recently, sculptural expressions. My goal is to blend all of it into an immersive, expanding project. 6. Any artist you’re digging right now and why? Currently I’m really into Emika, a German artist who messes with bass and piano in twisted ways that really speak to me—her song “Double Edge” in particular. I just love her style…it’s very dark and sketchy. Check out more of Toy Light’s music here or go see him perform at his next show in Anti-Pop on Nov. 28 in Chinatown, Los Angeles. Know any other student musicians or artist we should feature? Tweet us @dbmojo.